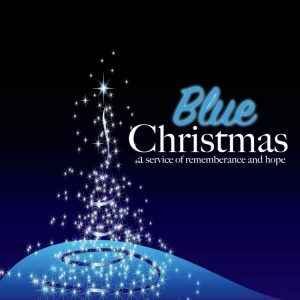 Blue Christmas – a service of remembrance and hope that honours people who have lost loved ones in that year and those who feel sad and alone at Christmas will be presented at the Senior Citizens Centre on the evening of Friday, 22 December 2017 at 7pm. 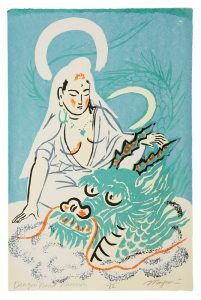 As a woman studying Zen, I had heard Buddhist teachings that females were less able than males to practice the dharma and recognize their awakened nature. This belief was not surprising. Having grown up in the U.S. in the 1950s, the assumed inferiority of women was the air I breathed. And though the feminism that emerged in the 1960s helped me see through these assumptions, I continued to struggle with them. 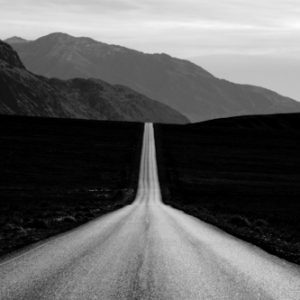 Rabbi Stephen S. Pearce, senior rabbi emeritus of Congregation Emanu-El of San Francisco writes of the Journey: the biblical journey of Abraham, and the inner journey of those who follow the footsteps of Abraham in faith. 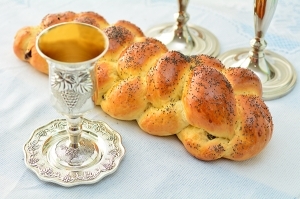 Abraham embarked on two journeys: one physical, to settle the land of Canaan; and the other, spiritual, to make a great nation, thus becoming the progenitor of the People Israel. 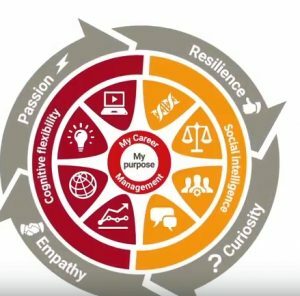 Cultural competence and understanding the other are key issues in building strong, effective workplaces with diversity among the workforce. 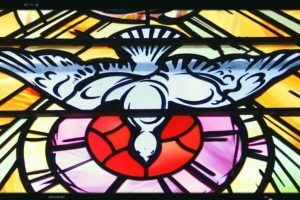 Much understanding and trust are needed for all to accomplish their goals – giving of goods and services, return on investment of time, talents and resources, and satisfaction with the goals of the work enterprise. 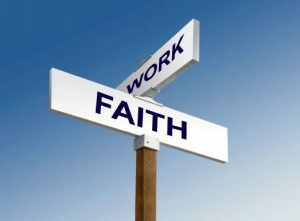 In this presentation, an account is given of the faith and work presentations given to industry leaders, HR Managers and workplace leaders. How do changes to government policy impact new arrivals’ communities and the celebration of people becoming citizens? 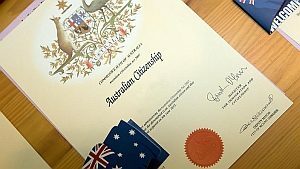 This presentation by Chris Hazelman will explore the processes to become an Australian citizen, the complexity of citizenship laws in the context of individual experiences of new arrivals and the government’s proposed changes to the Australian Citizenship Test. 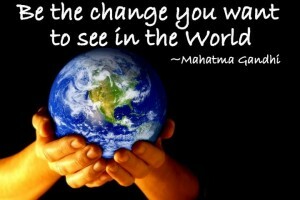 Sport lends itself to community building and resilient communities. Sport gives individuals a sense of worth, belonging, participation and achievement. In this session, Sam Atukorala – AFL Diversity Program Ambassador, and Community Ambassador for Cricket Australia gives an overview of how Cricket and Football build strong individuals, strong communities. 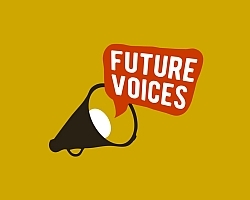 Future Voices Incorporated is a not for profit charity established in 2016, working with the diverse communities in Shepparton, Victoria to meet an identified need voiced by the newly arrived African refugee community. Research tells us that most extensive types of volunteer work conducted by refugees and humanitarian entrants involve helping with the settlement of their own communities. Future Voices has grown from this grassroots concept and from the community itself, with African community leaders, in developing the program concept. Critical to success has been the building of trust, listening to the real needs of the communities and helping them to make their ideas grow. On September 27, 2017 La Trobe University, partnering with the Shepparton Interfaith Network and the Ethnic Council of Shepparton and District, presented Social Cohesion in the Goulburn Valley: Looking Back, Looking Forward, a conference to revisit the issues explored in the 2007 Conference and to consider the issues facing us today going forward as a regional community. 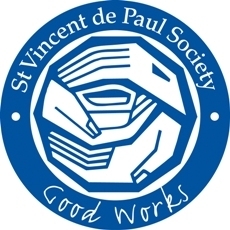 On this page, we bring you the Conference Welcome from the sponsoring organisations. Cr. Dinny Adem, Mayor of Greater Shepparton opened the 2017 Conference Social Cohesion in the Goulburn Valley: Looking Back, Looking Forward. We bring you his opening remarks. 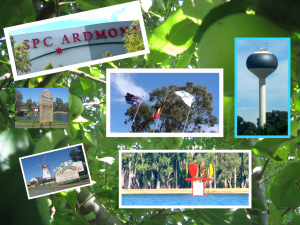 One of the key issues of this conference were the emerging challenges due to factors that have largely remained unaddressed (eg employment, gender issues, religious, ideological or cultural beliefs and values which underpin some of the tensions), and to their likely impact on a socially cohesive Goulburn Valley in the future. Employment was the front and centre issue of this social cohesion conference. 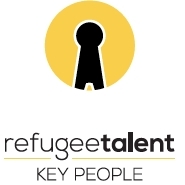 Andrew Keast of Refugee Talent gave an insight into how a dedicated agency puts strategies into place to aid refugees in gaining employment. Hazeldene’s is the biggest private employer in Bendigo with more than 900 employees and contractors, most of whom come from the area. This family business, which produces chickens for market from breeding to plate, has been operating for more than 60 years. It processes up to 680,000 chickens a week at Lockwood, with breeding and rearing farms, a hatchery, growing farms and a processing plant across Central Victoria. 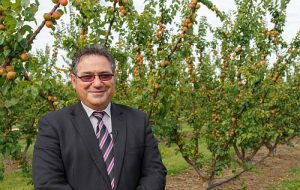 In this article, Ann Conway, People and Performance Manager at Hazeldene’s, outlines the history of the Chicken Farm, its multicultural workforce, what works – and what does not work – with a diverse workplace with over 900 employees and contractors. Betul Tuna participated in the afternoon Panel Discussion: Employment enterprises – what’s successful? The following is a photo narrative which captures the spontaneity, vivacity and fun that Betul Tuna shared in her presentation on Hijack’d, a local small-business which builds on social cohesion with younger people in the community. 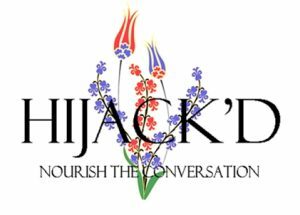 The motto: Hijack’d, Nourish the Conversation. 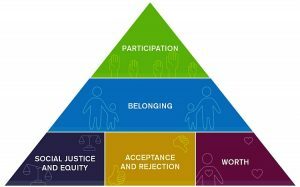 The United Nations defines a socially cohesive society where all groups have a sense of belonging, participation, inclusion, recognition and legitimacy. 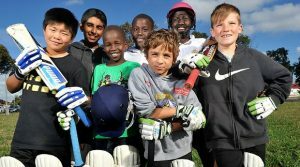 The most significant piece of work in Australia on social cohesion is conducted by the Scanlon Foundation. On September 27, 2017, La Trobe University – partnering with the Shepparton Interfaith Network and the Ethnic Council of Shepparton and District – presented Social Cohesion in the Goulburn Valley: Looking Back, Looking Forward, a conference to revisit the issues explored in the 2007 Conference and to consider the issues facing us today going forward as a regional community. 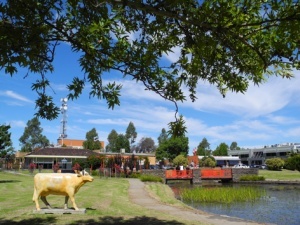 In 2007, the Shepparton Interfaith Network in conjunction with Latrobe University and the Ethnic Council of Shepparton and District conducted a seminal conference with the title, Cultural Diversity and Social Harmony – The Goulburn Valley Experience at Eastbank Centre, Shepparton. 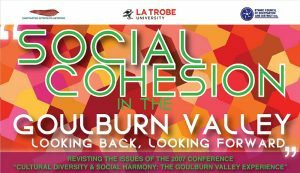 On September 27, 2017 – ten years to the day of the 2007 Conference, La Trobe University, partnering with the Shepparton Interfaith Network and the Ethnic Council of Shepparton and District, presented Social Cohesion in the Goulburn Valley: Looking Back, Looking Forward, a conference to revisit the issues explored in the 2007 Conference and to consider the issues facing us today going forward as a regional community. 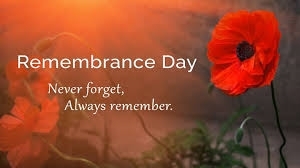 The 2017 Remembrance Day event will be observed at the Shepparton Cenotaph on Saturday 11 November, commencing 10:30am. 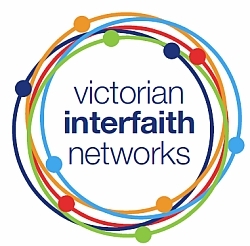 The Faith Communities Council of Victoria, in association with the Bendigo Interfaith Council and the City of Greater Bendigo, would like to invite you to the 2017 Victorian Interfaith Networks Conference.